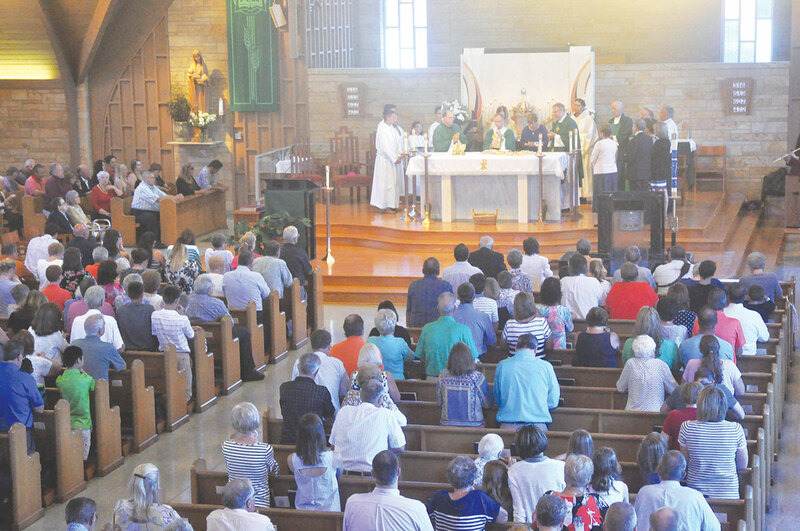 It was one of his few periods of quiet in four days, but Archbishop Charles C. Thompson still took time on July 30 to share his reflections on his installation as shepherd of the Church in central and southern Indiana. But in the center of the whirlwind were abundant blessings. Now that the incense has dissipated and the visiting friends, family and bishops have returned home, Archbishop Thompson is ready to “get in a routine,” he said. He looks forward to meeting the Catholics of central and southern Indiana “as soon as I can,” he said. “One thing I did in Evansville was go to the deaneries and meet the leadership early on. I hope to do that soon as well,” he added. Meanwhile, he hopes to find time in his new routine for running, his preferred method of stress release. He was happy to note that Indianapolis is predominantly flat. “I like to run—but I don’t like to hurt,” he quipped.